We recently had the privilege of working with CJP Chemicals here in the Mother City. CJP Chemicals (Pty) Ltd is a leading stockist and distributor of both specialty and commodity raw materials to a variety of industries (visit their website at www.cjpchemicals.co.za). Being presented with an opportunity to green another interior office space was nothing short of exciting for us! While some of our projects lean to lush, textured planting, we felt that a simple, clean design using only two kinds of plants would be most effective in this space. 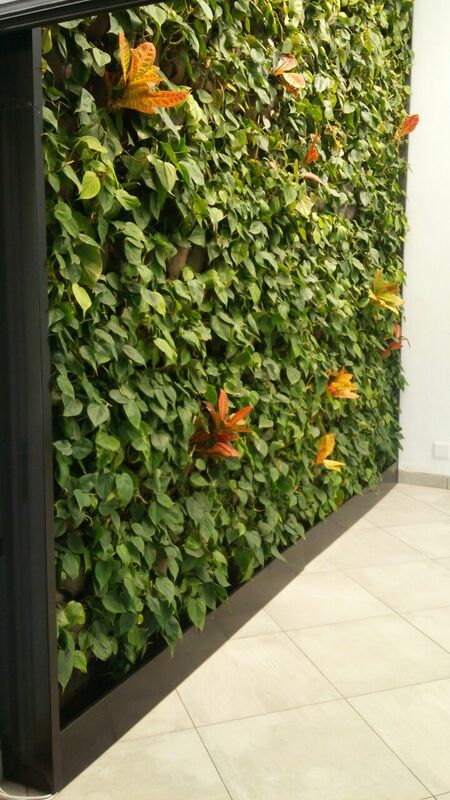 This vertical garden was constructed using Living Green Walls’ Vertipocket system, which involves fabric pockets being attached to a steel frame. From there, the plants were carefully placed in each fabric pocket, positioned strategically to create a simple yet striking visual piece. This 20sqm masterpiece has added a revitalising finish to CPJ Chemicals’ beautiful interiors, and we are thrilled with the final product.